Fire hoses are designed to withstand hundreds of pounds of water pressure, which makes them a durable and versatile material for recycling once they’ve been retired. HoseWear recently launched a line of super durable iPad sleeves made from recycled fire hoses that will keep your tablet dry in a downpour. They’re available in red, white and yellow from HoseWear’s online store. Fire hoses are designed to withstand hundreds of pounds of water pressure, which makes them a durable and versatile material for recycling once they've been retired. 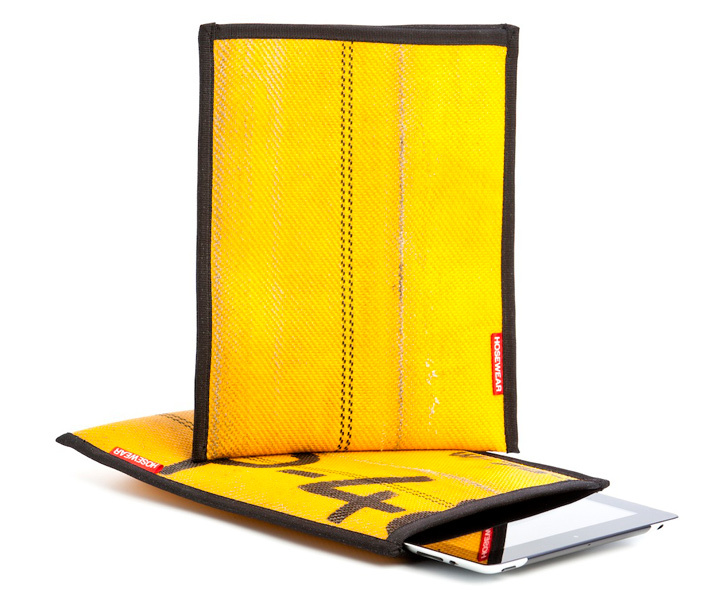 HoseWear recently launched a line of super durable iPad sleeves made from recycled fire hoses that will keep your tablet dry in a downpour. They're available in red, white and yellow from HoseWear's online store.